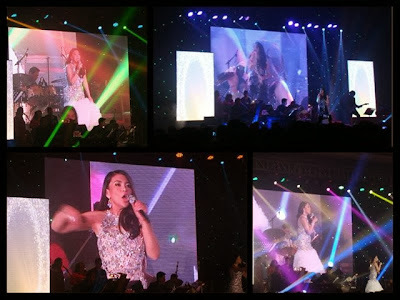 Lani Misalucha performed at the Grand Ballroom of Solaire Resort and Casino last November 20th to help raise funds for Filipino people affected by Typhoon Yolanda (Haiyan). 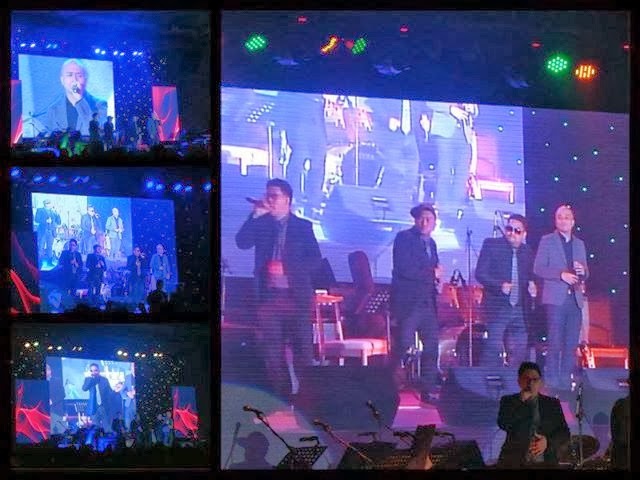 Her supposedly regular show at Solaire Resort & Casino has been turned into a benefit concert after the super typhoon left a trail of destruction in the Visayas, which affected 10 million people. Lani Misalucha saw the aftermath of the typhoon while she was in the US and felt the urge to do something to help her fellow Filipinos. Daddy's Home of the famed X Factor Philippines did the front act. Their repertoire set the mood for the night! Their rendition of Whitney Houston's "Didn't We Almost Have it All" showcased the quartet's superb singing prowess. Daddy's Home is composed of four dads, Dr. Eric Dacanay, Herbert “Ebet” Silonga Allan Mitchell Silonga, Herbert Silonga, and Jerome Icatar. Lani Misalucha worked around the Philippine lounge circuits as a soloist. Her voice talent found its way to numerous commercial jingles and karaoke tapes that people referred to her as "Multiplex Queen" back then. Her skills and experience honed her through the years as a professional singer. Lani Misalucha has been called "New Siren of the Strip" from the time she arrived in Las vegas in 2004. She was voted "Best Singer" (staff pick) in the "27th Annual Best of Las Vegas" poll by the Las Vegas Review Journal in March 2008. Las Vegas mayor Oscar Goodman even declared December 4 "Lani Misalucha Day" to honor her. At the concert, Lani Misalucha wowed the audience with her innovative array of musical style which included songs from Donna Summer, Michael Jackson, Chicago and some Original Pilipino Music. Among the songs I liked were Dancing Queen, Loving You, Ave Maria and Open Arms, which is a song by the American rock band Journey. Lani Misalucha took us to a trip down memory lane. She is indeed the "Queen of the Night".